The Bayonne Board of Education adopted a budget that will increase property tax rates by 1.99 percent. 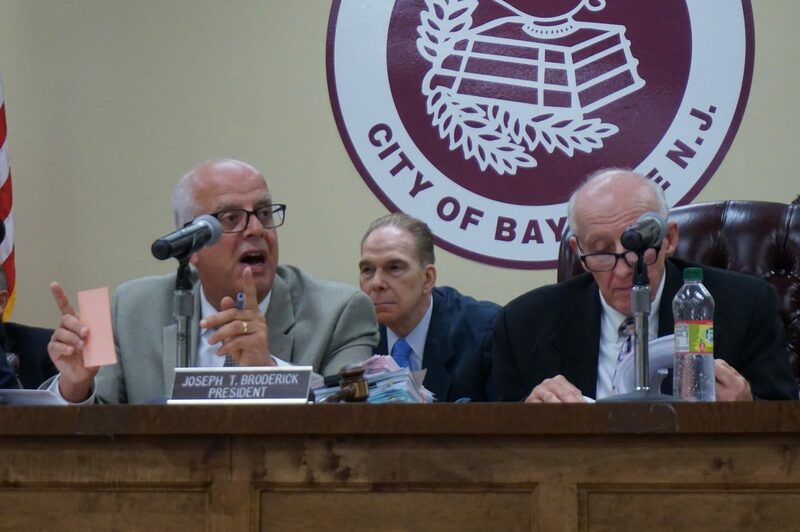 Bayonne residents are facing another property tax rate increase of 1.99 percent over last year as the Bayonne Board of Education passed a proposed $146.1 million budget for the 2019-2020 school year that includes a tax levy of $69.6 million. The budget passed by a thin margin of 5-4. The budget proposal now awaits the county’s approval. This year’s budget is about $16 million more than last year’s, which included a 2.87 percent property tax increase and a $68.3 million property tax levy. The year prior saw a 5 percent tax rate increase. The school district, which is funded by the state and from 40 percent of Bayonne’s property tax bills, levies additional taxes when the cost of running the district increases. Healthcare costs consistently make up the largest increase in cost to the district. Salaries and benefits take up more than 80 percent of the budget. In May of 2018, the school board ratified a four-year teachers’ contract that collectively grants teachers a 12.7 percent raise. Still, Bayonne teachers remain the lowest paid in the county. The tax increase comes even though the Bayonne school district received $65.5 million in state aid, up $5.5 million from last year. However, the district remains $53 million short of the original funding formula, passed in 2008. Chapter 78 refers to the requirement that public school employees pay part of their health insurance. Trustees Maria Valado, Jodi Casais, and Michael Alonso all voted against. Since 2010, Bayonne’s tax rate has increased by 23.8 percent, 8 percent higher than the state average. Bayonne has a property tax rate of $8.45 per $100 of assessed value and an average annual tax bill of $10,425. The city levied from property owners a total $183.4 million in 2018, with 14.6 percent going to the county, 42.9 percent to fund the school district, and 42.9 percent to the city coffers to pay for local services, police and fire departments. The city is still reeling from decades of disinvestment, whereby people take their residencies, businesses, and thus their property tax payments to a different town. The result was a 2013 structural deficit that ballooned to more than $30 million.